Colibri is inspired from Nordic stickback chairs into a contemporary modernist expression: easy-going and yet quite classical. Furthermore, Colibri empowers its proprietor whom can take part in the design. Choose from four different bases, four different seats in textile or bonded leather, four different backs, or opt for four different ones with armrests. The finish is either white lacquered birch or dyed black elm, or opt for oiled natural or blonde oak. 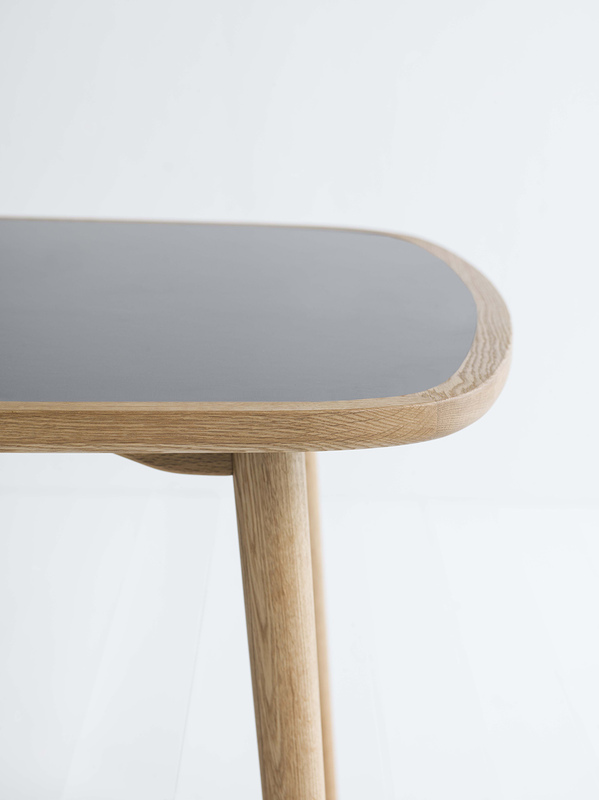 There is also an accompanying slender table with a border in massive oak and a durable table-top in melamine.